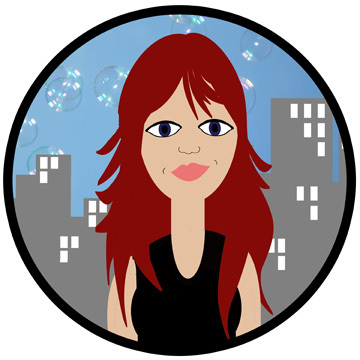 Haley Maxwell Soap Making Mysteries: What the Hell is Ravensara? What the Hell is Ravensara? Most of us are familiar with the ‘usual suspects’ of essential oils—lavender, lemongrass, peppermint, grapefruit, anise, bergamot—but there are hundreds of other essential oils to be discovered. I fell in love with ravensara (not to be confused with ravintsara) during a pilgrimage to Enfleurage in the West Village. I usually spend too much money when I go to Enfleurage—but never regret it. They have a bottle of each of their essential oils out and you can sniff your way to nirvana. There’s even a bowl of coffee beans to cleanse your smelling palate. 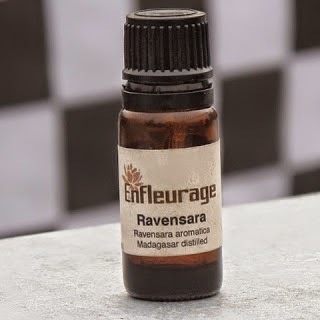 Ravensara essential oil comes from the leaves of huge evergreen trees native to Madagascar. It has an exotic, spicy, woodsy, slightly camphor-y scent. My first whiff gave me a clear, focused feeling. The people of Madagascar refer to ravensara as ‘the healing oil’—kind of like tea tree oil in Australia—but ravensara smells so much nicer. It has analgesic, antiseptic, antibacterial, anti-viral, antidepressant and expectorant properties and has been used to treat acne, cold sores, headaches, joint pain, breathlessness, coughs, colds and the flu, measles, mumps, chicken pox, shingles, indigestion and fatigue. And it’s great to use in soap—especially if you want to make a bar to shower with after a hard workout at the gym or when you’re coming down with something. Or if you’re making a batch with a color that’s hard to ‘match’ with the scent of most essential oils—like blue. For my woad soap I used a blend of 2 parts ravensara, 1 part bergamot and 1 part cedarwood. Thanks, Big John. Glad you dropped by.